Industrial Packaging was founded in 1947 by, Fred Lee. Now in its 3rd generation with 2 factories and 46 employees our Vision is to be “The premier innovative manufacturer and distributor of high quality packaging solutions to industry in our chosen markets”. We have 4 divisions: Bulk Packaging, Cardboard Cores / Tubes, Construction Formwork, and Cable Reels. The Bulk Packaging division is made up of Fibre Drums which we manufacture and Steel drums, Plastic Drums, IBC’s, FIBC’s and other UN Certified bulk packaging which we distribute. In the Bulk Packaging division, our market is primarily pharma, chemical and food producers. Many of the products packed into our drums would be classified as dangerous goods, which means the packaging needs to have UN certification. For Construction Formwork, the target market is construction accessories companies and construction companies directly. Cardboard Cores and Tubes is mainly industrial producers of flexible packaging and labels. Cable Reels and Drums are supplied to producers or wire and cable. We manufacture cardboard disposable formwork, Form-A-Round, for use in the building trade for pouring concrete columns and pillars. Supplied to exact specifications with or without fairface liners and with quick-strip ripcords. Formwork ranges in size from 200mm to 1200mm diameter and lengths up to 13 metres. Disposable column formwork is inexpensive, fast and simple to use.Provides a high spec finish. Form-A-Round is supplied ready to use and can be erected in approximately 15 minutes. Form-A-Round formwork requires minimum bracing and is easily plumbed. Formwork can be supplied with a high spec fair-faced poly liner to eliminate spiral marks.Industrial Packaging offers a disposal service for used Form-A- Round if required. 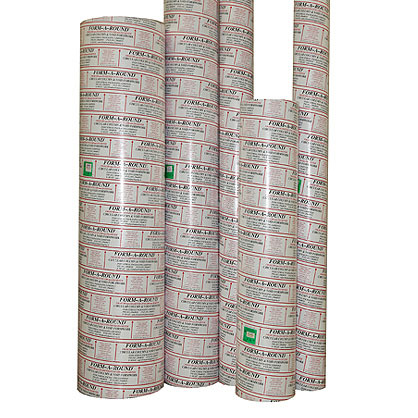 Our range of cardboard tubes fulfils a large variety of packaging requirements. We produce specialty tubes to customer specifications for inner diameter, outer diameter, length, thickness and many different strength characteristics to suit the wide range of different uses they are put to. Killarney Rd, Bray, Co Wicklow.